Valiant comics are about to take over the cinematic superhero universe. Valiant Entertainment is working on five different comic adaptations. We already know that Bloodshot will be the first one and it will star Vin Diesel. However, not much is known about Sony’s Harbinger. In fact, some months have passed since we received news about this project. We have decided to put all the information we have so far in one place. Let’s see what we know about Sony’s Harbringer. A couple of years ago, back in 2015, Sony and the Original Film studio of Neil Moritz signed a deal for movies in order to adapt Valiant comics. While some things changed since then, and even Valiant Entertainment belongs mostly to DMG Entertainment and Media, the projects still go forward. If we take a look at the Valiant archive, we can see that the Harbinger comics are some of the most popular ones, and they have sold more than 5 million copies. The original comic was created by David Lapham and Jim Shooter, and the story follows the Harbingers, a group of teenagers with special powers. The comic book first appeared back in 1992 and ran for 41 issues. 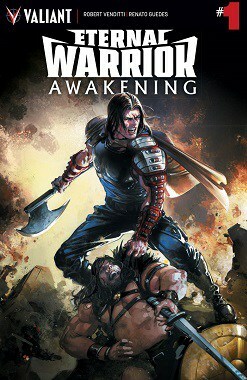 Peter Stanchek, also known as Sting, is one of the main characters, and he is just a regular teen until his Harbinger powers begin manifesting. He then meets the Omega Harbinger, Toyo Harada, who has multiple powers at the same time. Toyo Harada is also the first Harbinger and it is believed that he is the only Omega one until Pete shows up. The story also introduces us to the foster daughter of Toyo Harada. In the end, a revolt takes place in the Harbinger school, once it is revealed that Harada’s intentions aren’t as pure as claimed. In the fight for power, his daughter must make a choice as well. It appears that the movie will focus mostly on Peter Stanchek. The story will follow him joining other people with Harbinger talents in order to stop others from treating them as weapons. 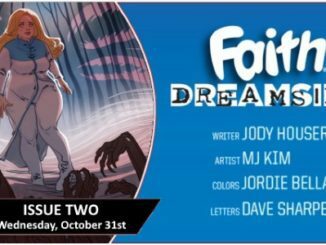 In the film, we will also have a chance to meet some of Peter’s friends such as Joe Irons, Kris Hathaway, Faith Hebert, aka Zephyr, and Charlene Dupre, aka Flamingo. According to the reports we received so far, it appears that movie production for the Harbinger film is expected to begin the second half of this year. This would make sense, as the studio would probably prefer to focus on Bloodshot at the moment. There are no official details yet, but rumours suggest that the star of the upcoming movie might be Dylan O’Brien. According to several reports, the actor is being eyed to play the main character, Peter Stanchek. We also know that other actors are being considered as well. For instance, Beanie Feldstein from Lady Bird might play Faith, while Noah Centino is being considered for the role of Joe Irons, the best friend of Peter Stanchek. Last year, we finally found out the name of the movie’s director. It appears that Justin Tipping was chosen for this project. This would be Tipping’s first major project, as the director has never worked on a major studio picture, and he has experience when it comes to television series or short films. We also know that the one who take care of the script will be Tipping and Joshua Beirne-Golde. The first movie will be Bloodshot, where Vin Diesel will play the main character. The cast also includes Sam Heughan, Guy Pearce, Eiza González, Talulah Riley, Alex Hernandez, Toby Kebbell and Lamorne Morris and Jóhannes Haukur Jóhannesson. Michael Sheen was also part of the cast originally, but had to cancel. The director of the movie will be Dave Wilson and this is his directorial debut. The screenwriter of Bloodshot is Eric Heisserer who is also known from the Arrival movie, as well as writer of Valiant’s Secret Weapons. The movie will hit the theaters on February 21, 2020. 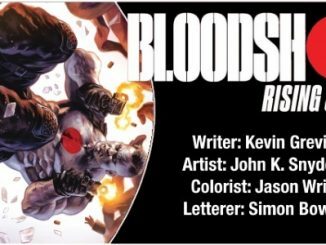 The characters from the Bloodshot film and the ones from the Harbinger movie are supposed to meet at a certain moment in the future. The action of the two films takes place in the exact universe.. 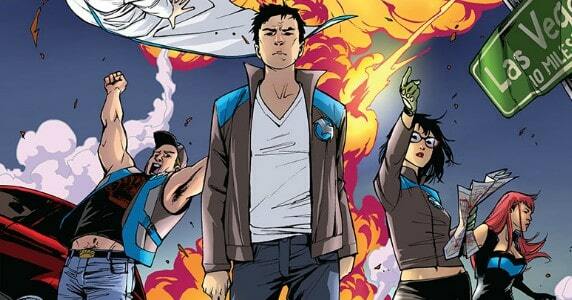 The third movie will be called Harbinger Walls and it is supposed to reunite the characters. Valiant comics aren’t as well-known as Marvel or DC Comics, but this could be an incredible opportunity for Sony.